I couldn't capture it in these pictures but, this is a very unique nail polish. 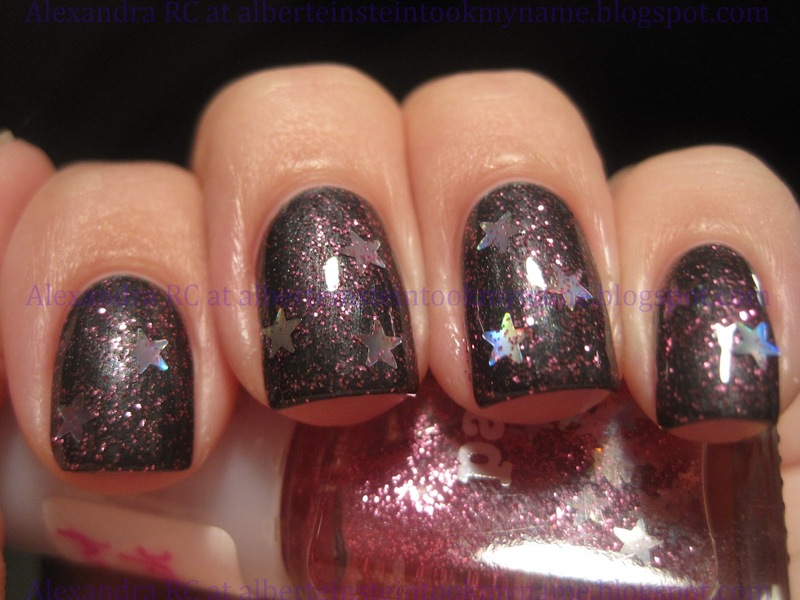 I haven't found a pink glitter that is exactly this shade, and on top of that it has cute silver holographic stars. Can I just say that Butter London Chimney Sweep is the best charcoal foil I own, it is non-streaky and a perfect two-coater. 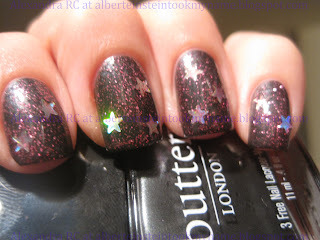 BONUS PICTURE - Butter London Chimney Sweep by itself! Wow! That is a really, really beautiful combination. 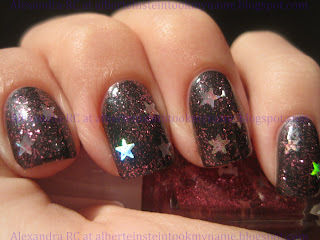 I really need to get my hands on some Pa polishes. An Asian market near me has quite a few of them, I wish I had a job so I could afford new polishes! OMG! I loved this combination!